GAME has partnered with over 2000 organizations world-wide raising more than $280 million dollars through its signature fundraising event: The Rubber Duck Race. Join other nonprofits such as Special Olympics, Kiwanis Clubs, Food Banks, Boys & Girls Clubs, Rotaries, Youth Shelters & Animal Welfare Organizations and take your fundraising to the next level. Partner with GAME and put the “fun” back into fundraising! Your GAME Fundraising Team works with your organization to ensure that the Rubber Duck Race can become the signature fundraising event in your community. With GAME there is no need to reinvent the wheel. We can help you get your Ducks in a Row.!  GAME offers customized fundraising packages to allow organizations and communities of all sizes to join in on the fun and success of its races. Unlike other fundraising companies GAME does not take a percentage of the total amount raised. We keep it simple. No hidden costs. GAME highly recommends that all costs are covered by sponsors secured by your board, volunteers and organization. Sponsors will generally receive a minimum of 4 weeks of exposure leading up to your event. In 2018, we partnered with 9 new nonprofit organizations. Here are the results from some of their Derby Duck races. Every year for the past 10 years Special Olympics Georgia hosts their annual Duck Pluck to raise money for over 26,000 Special Olympics athletes participating at the State Games. In 2018 they raised over $80,000 dollars from adoption and sponsorship revenue combined. 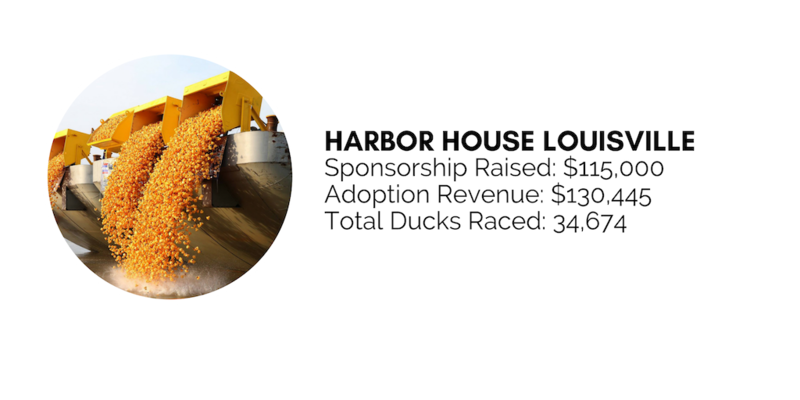 The Ken-Ducky Derby is the official fundraiser for Harbor House of Louisville. 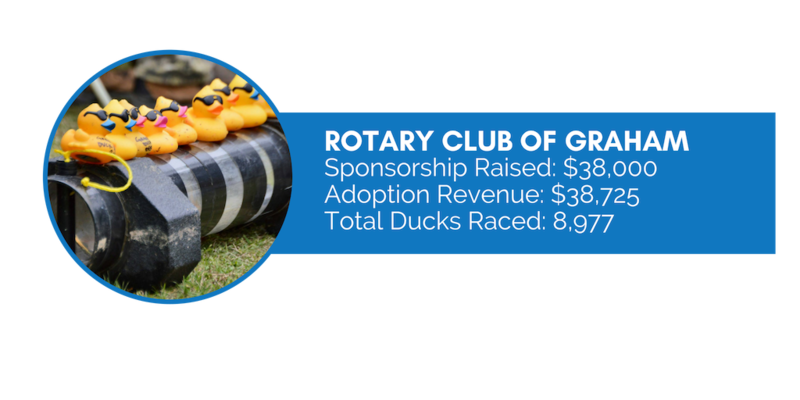 In 2018 they raised over $245,000 in sponsorship and duck adoption revenue to support individuals with disabilities and their families. The Rotary Club of Graham raced for the first time in 2018. 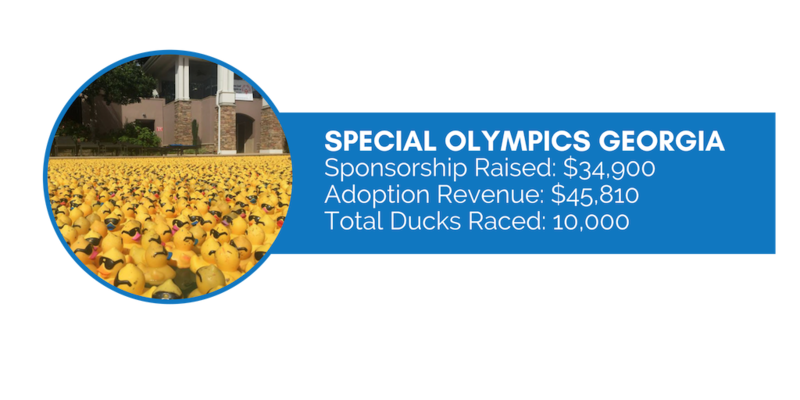 They started out with an initial goal of racing 5,000 ducks and ended up racing close to 9,000! Their revenue for their first year, including sponsorship’s and adoptions, totaled over $76,000. 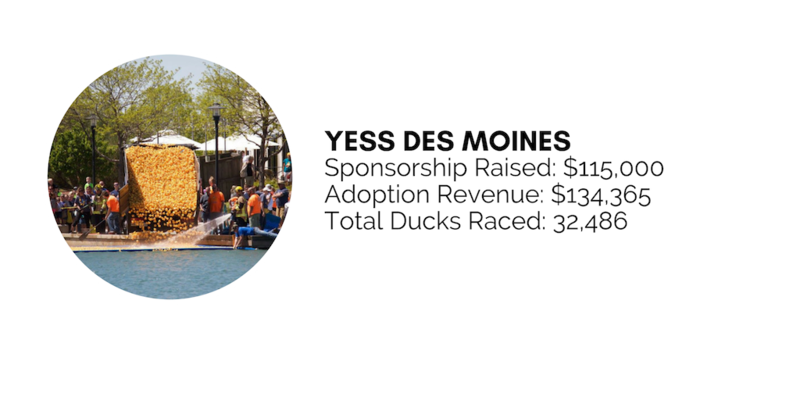 All proceeds from the annual YESS Duck Derby benefit Youth Emergency Services & Shelter, which provides a safe haven and network of services designed to care for kids in need. In 2018, YESS raised over $240,000 in revenue for their nonprofit organization.